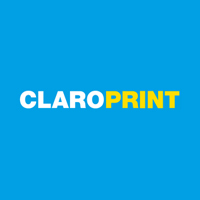 Claro Print, founded in 2010 and based in Glasgow, is one of a new breed of companies harnessing the online print market. Although Claro Print is a relatively new company, the team comprises highly reputable printing experts with decades of experience. This in-house expertise ensures high quality print products that cover everything from business cards to brochures and printed promotional merchandise such as printed notepads and sticky note pads. 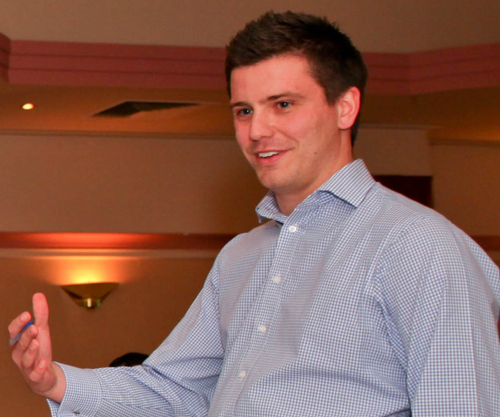 With no dedicated credit control team, the task of debtor chasing fell to Claro Print director James Mitchell. Previously a traditional approach was being used with invoice statements being sent to clients on a monthly basis with the inevitable follow-up phone calls to clients who had neglected to pay on time. Not surprisingly, James found this method of handling credit control to be too inefficient. Not only that, but Claro Print’s standard payment terms of 30 days were being stretched out to 60 days and beyond in many cases. A change was needed to improve cash flow. In order for Claro Print to operate efficiently in the online market a major overhaul of their credit control process was going to have to be put in place. The time spent actively chasing clients would have to be cut down significantly in order to free up time to build the business. What was needed was an affordable solution. How do they use Satago? The Satago integration with Sage One cloud accounting software allows Claro Print to automatically send monthly invoice statements. In addition, by setting up the automated email reminders, clients are advised of invoices as they approach their due date as well as on the due date and when they are overdue. “We found that reminders sent a few days before the payment deadline make a huge difference in getting paid on time’. It’s not that most of our clients don’t want to pay but they rather forget about it. An automated invoice reminder brings the invoice back to their radar” James said. Of course, the same templates are not suitable for all of Claro Print’s clients. For that reason, James customises the reminders and statements for individual clients, especially for those that are long-term customers with whom a special relationship exists. For the majority of clients however, Claro Print choose to automatically add late payment fees as calculated by Satago, in line with the Late Payment of Commercial Debts Legislation. These reminders advise clients that once an invoice is overdue for more than two weeks, late payment fees will be added. With Satago, James no longer worries about chasing payments or whether a client has forgotten to pay. Additionally, using Satago speeds up the payment process – Claro Print has seen a huge improvement, having moved from a situation where many clients held back payments for 60 days or more to a place where most clients pay on time. For those customers that do still exceed the due date James finds that the late fees warning sent 14 days after the due date proves to be very effective. If anyone has any questions about Satago please post them here as a reply to this comment and I’ll be happy to help you out! Great info might be observed on this website website. I feel there may possibly be considered a handful of duplicates, but an exceedingly handy record! I’ve tweeted this. Numerous thanks for sharing! Fantastic work you may have accomplished, this web site is really neat with fantastic information. Time is God’s method of keeping every thing from happening directly. Excellent function you might have performed, this website is basically interesting with superb information. Time is God’s technique for retaining every thing from occurring at once. Great get the job done you’ve done, this website is absolutely great with amazing details. Time is God’s method of keeping every thing from occurring at the same time. Superior Early morning, I just stopped in to go to your internet site and thought I would say I enjoyed myself. to uncover matters to improve my website!I suppose its okay to generate use of a handful of of your concepts!! Great information and facts is often discovered on this web weblog. I believe there could become a few duplicates, but an exceedingly useful checklist! I have tweeted this. Several thanks for sharing! to discover problems to enhance my internet site!I suppose its okay to generate utilization of some of one’s concepts!! I think there may perhaps become a handful of duplicates, but an exceedingly helpful listing! I have tweeted this. Quite a few thanks for sharing! Superior Early morning, I just stopped in to go to your web site and considered I would say I liked myself. Superb facts can be identified on this net website. Among me and my husband we have owned far more MP3 gamers over the years than I can count, like Sansas, iRivers, iPods (common & touch), the Ibiza Rhapsody, etc. But, the last few years I’ve settled down to one line of gamers. I think know-how just causes it to be worse. Now there is a channel to under no circumstances treatment, now there wouldn’t become a possibility for them to discover. to find matters to enhance my web-site!I suppose its okay to create utilization of some of your respective principles!! I feel technologies just makes it worse. Now there is a channel to in no way treatment, now there is not going to be a likelihood for them to discover. I feel technological innovation just makes it worse. Now there is a channel to never treatment, now there is not going to be a probability for them to discover. Very good Early morning, I just stopped in to go to your internet site and believed I would say I experienced myself. Монастырский чай. Цена в Украине. Реальные люди. Фильмы. Кино. Новости. Ïîðîøåíêî ðàçðåøèë ââîä àíòèðîññèéñêèõ ñàíêöèé. Zveropolis full version. Zveropolis watch in high quality. Zveropolis / Zootropolis smotret onlayn v horoshem kachestve.